Translated by Adiek84 in a rush, so beware stupid mistakes! We started our journey to Hamburg at 6 am, the drive was calm and fast, and still we took 4 hours to get to Hamburg, because of many breaks. familiar faces of fans I’ve already met in Leipzig, like BlackChester for example. We actually had to use a different entrance, where we than had to stand in line and wait another 30 minutes. 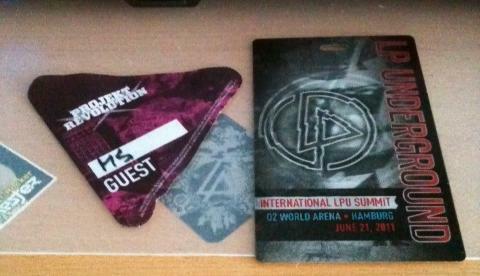 During this time, Adam (LPU) came outside and explained the schedule of the Summit. Then the Check-in started. It was possible to get tickets at the box office, but not for me, as I needed wheelchair space. Little did I know what was about to happen that evening. My friend and I were welcomed warmly by Adam and I thanked him again that I was allowed to bring a person to help me with the wheelchair. We got our Summit Passes with a red dot on it (because we didn’t have a ticket for the concert later that night). After that we were examined by the staff and then went to the elevator. After a little detour to the ground floor, we found someone from the staff who showed us the right way (he led us through the kitchen). So we arrived at the chill out area (how I call it). At 11 am I made my way to Leipzig and the drive was so uneventful and relaxed that we arrived at the venue at 2.30pm already. My buddy and me, who was also my official assistant, because I’m sitting in a wheelchair, had a little break first, but then went to the entrance. First we went to the wrong one, which was closed (we weren’t the only ones doing this), so we had to walk back again to the other entrance. After it started to rain so hard that we had to find shelter first, we asked the staff at the box office for information on the M&G and wheelchair space. They told me some totally wrong information, saying that the meeting place for the M&G was the box office, when we found out later that it was the bell tower. When we went through the entrance our stuff was examined by the staff there and they took two water bottles (from four) and my snap light sticks, and I had to open the mailing tube that contained my poster cause I could’ve hidden anything in there. Poor Paris, having to put up with this! Apparently, Mike Shinoda enjoyed his stay in Paris according to this picture of him acting all kinds of crazy in front of Notre Dame. He just added it to his Instagram. You can find him there under the username m_shinoda. If you don't have Instagram/Apple, you can either wait till Mike uploads the Pics on his Flickr or check mikeshinodaclan.com once in a while, where the pictures are uploaded, too. Rumor: Linkin Park Releasing Remix Album? Oh my. This is, well, bloody amazing. Linkin Park and Public Enemy’s Chuck D. Remixed by Las Vegas/Phoenix-based duo HavocNdeeD. Even LP’s Mike Shinoda loves it, saying “Their remix of ‘Wretches And Kings’ came out incredible…the bridge section is massive!” But don’t just take his word for it – download it for free over at somekindofawesome.com. Want more? Apparently there could be a Linkin Park remix album in the works, featuring the likes of Diplo, Glitch Mob, The KickDrums, Get Busy Committee. Another remix album of Linkin Park would definitely be awesome, but somehow I doubt that. 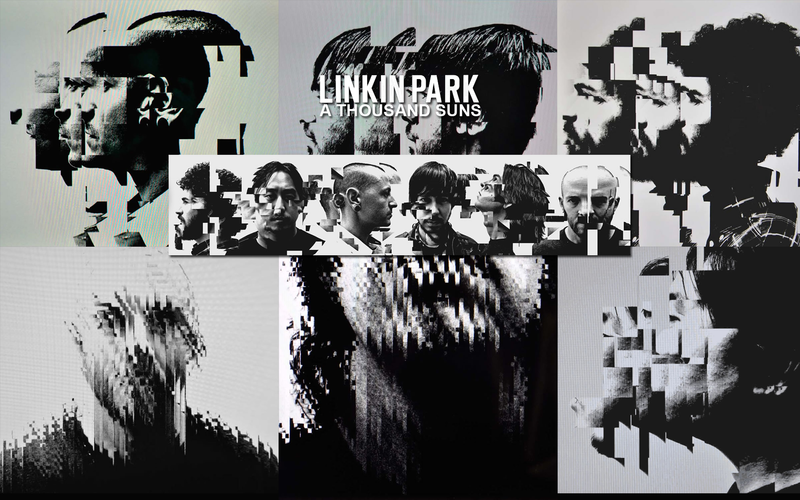 Many of the remixes of their “A Thousand Suns” songs were available for free (or leaked), which would be a bit counterproductive if you wanted to release them as an album. 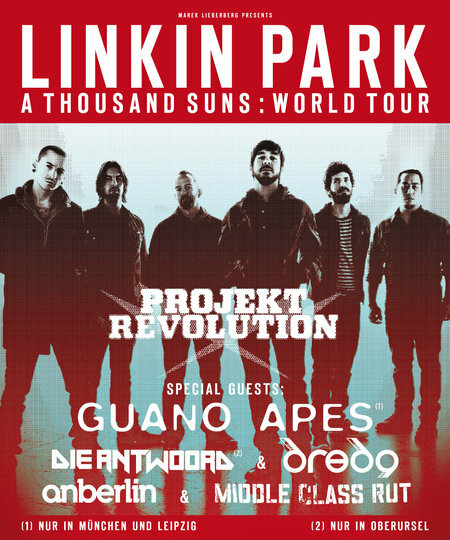 Also there has been no word about this from Linkin Park, so this is pure speculation. You can listen to the HavocNdeed Remix of Wretches & Kings feat. Chuck D. of Public Enemy here. We are proud to host the “All The Kings Men” art exhibition by Josh Vanover aka SPACEKNUCKLE. His art has been featured on several big brand labels (such as Nike and Stussy) and on the Linkin Park “A Thousand Suns” album. The show with house a number of original art work, as well as, the release of the Spaceknuckle x SURU tee. EDIT: Linkin Park will contribute a new Remix of “Iridescent” and LPLive has the stream of the track! Go there and listen now!What do you think of the new version? It’s not bad, but I like the original better. Apparently they’ve decided for “Iridescent” to be on the Transformers 3 soundtrack, instead of “Burning in the Skies”. It’s not clear if it also will be a single, but the chances are high, I guess. Garrett also tweeted Astats texts about the setlist and other interesting stuff happening at the show.